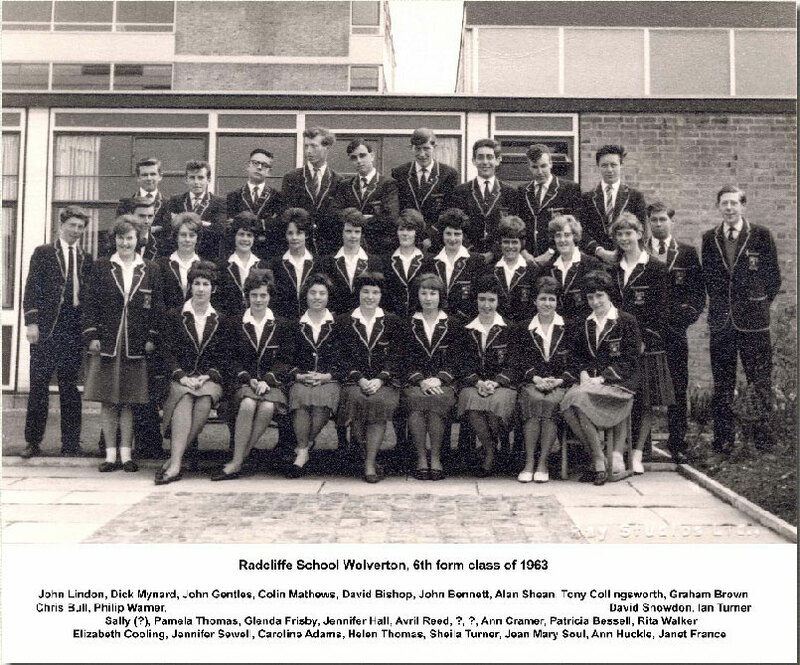 This picture courtesy of Ian Turner, shows the 6th Form at the then very new Radcliffe School at the end of Aylesbury Street. I was reminded about this while I was talking to someone the other day. Up to 1960 classes were large and schools were small. Now the reverse is true. 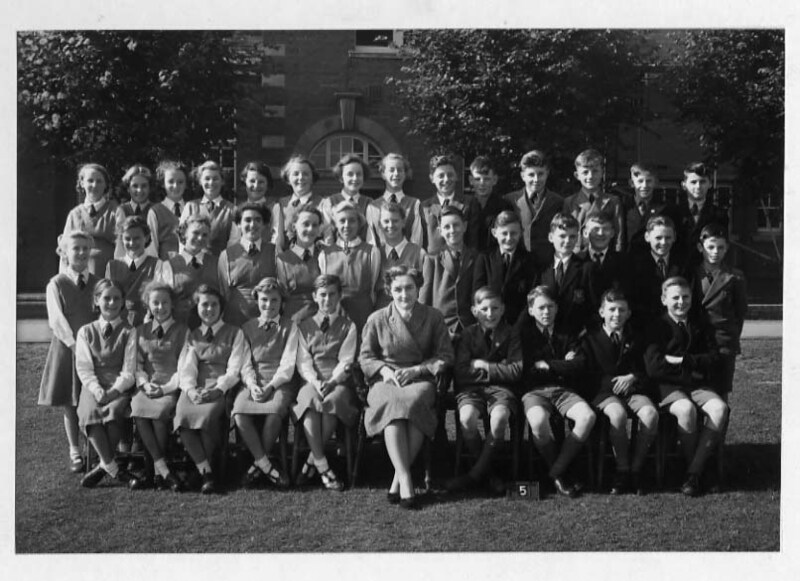 You can see here what was typical from two of my class photos from the 1950s. 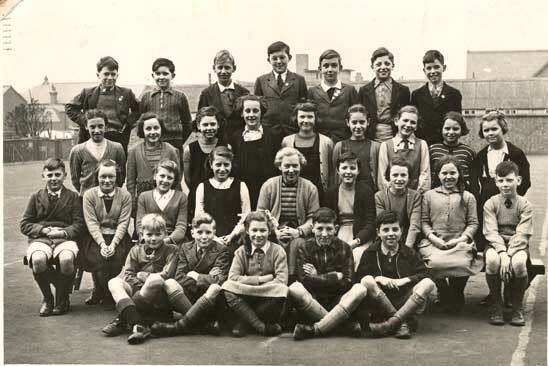 The first one is my Primary School, taken circa 1952 and the next is from the Grammar School taken in 1954. This was the only year we did not have one of those all school panoramic photos so this one provides a useful measure. Schools were typically small. The Grammar School was by far the largest school in the whole of North Bucks with about 300-400. All of the secondary schools were smaller. The reason was plain: secondary schools covered only four years from 11 to 14 and the Grammar School accommodated pupils up to 18. The school leaving age up to 1973 was 15 and most were able to find work at that age. The Wolverton Grammar School covered a large territory – from Lavendon and Olney in the north east, to Bletchley and Whaddon in the south west. Once the new Grammar School was built at Bletchley in 1956 to accomodate its expanding population, those in the Bletchley environs stopped coming to Wolverton and the spare capacity at Wolverton was used by amalgamating the Wolverton Grammar School and the Wolverton technical School. Thus The Radcliffe Shool was born.